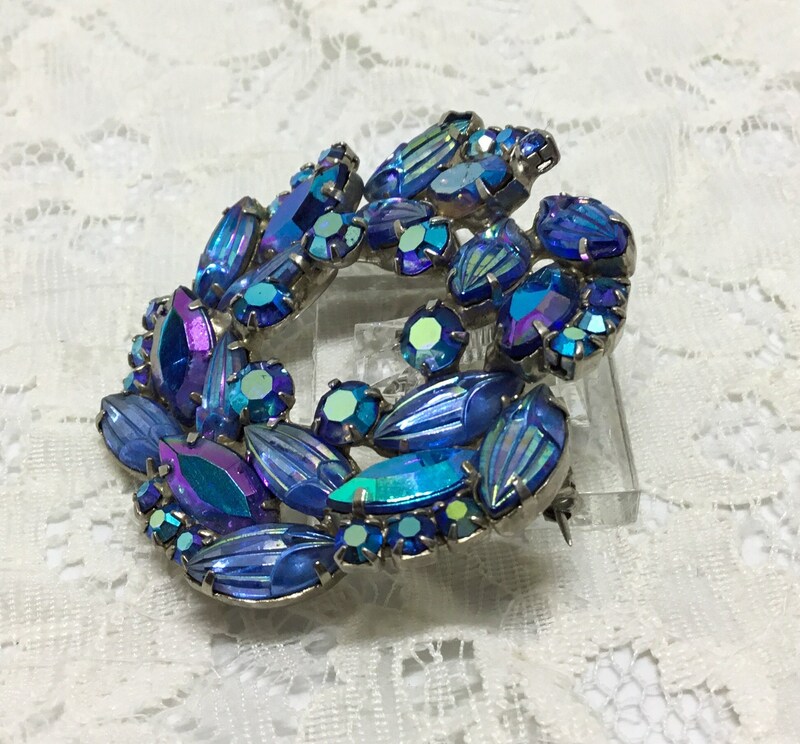 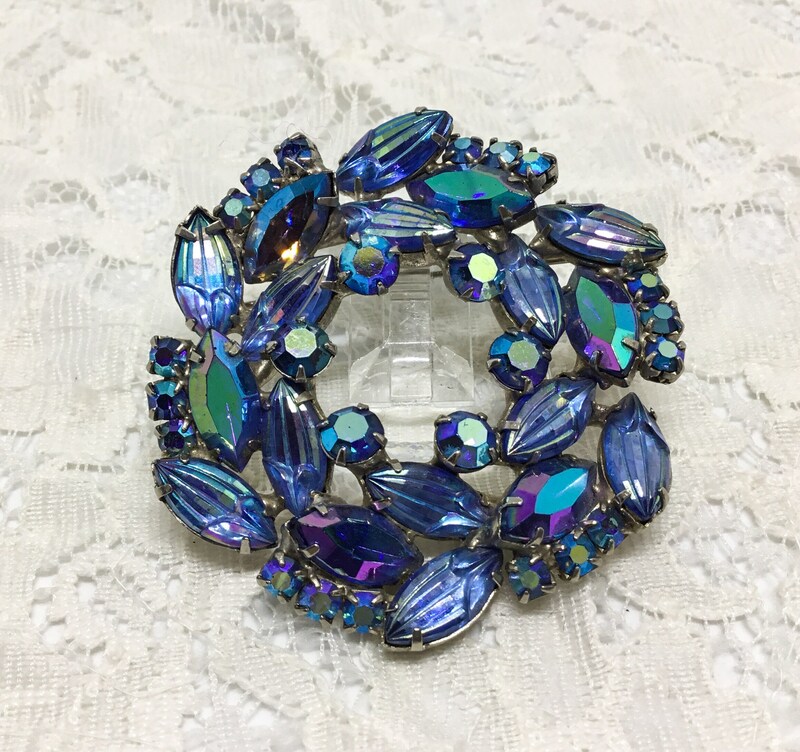 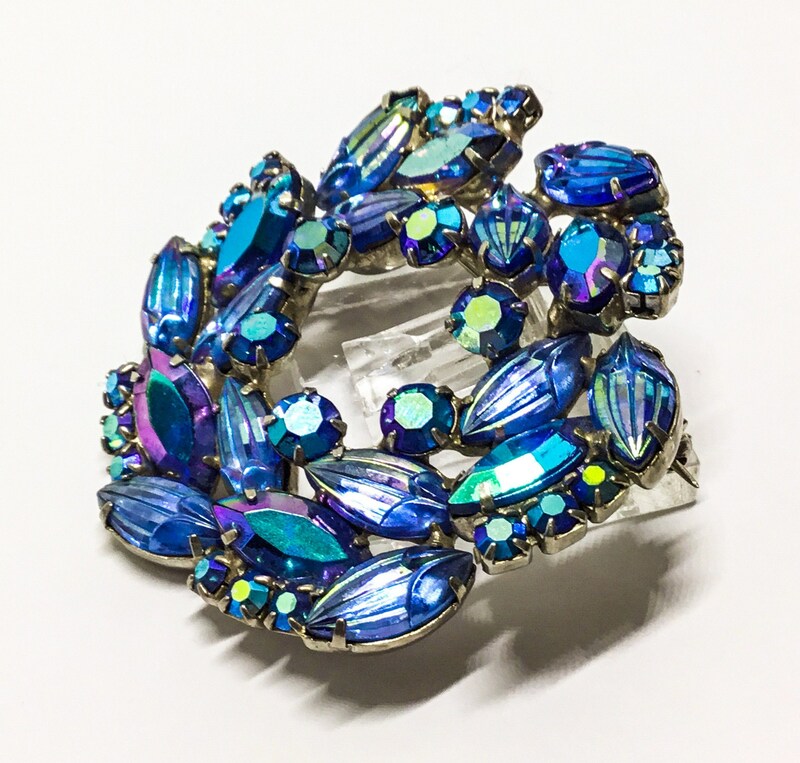 This is a wonderful vintage silvertone blue rhinestone wreath brooch. 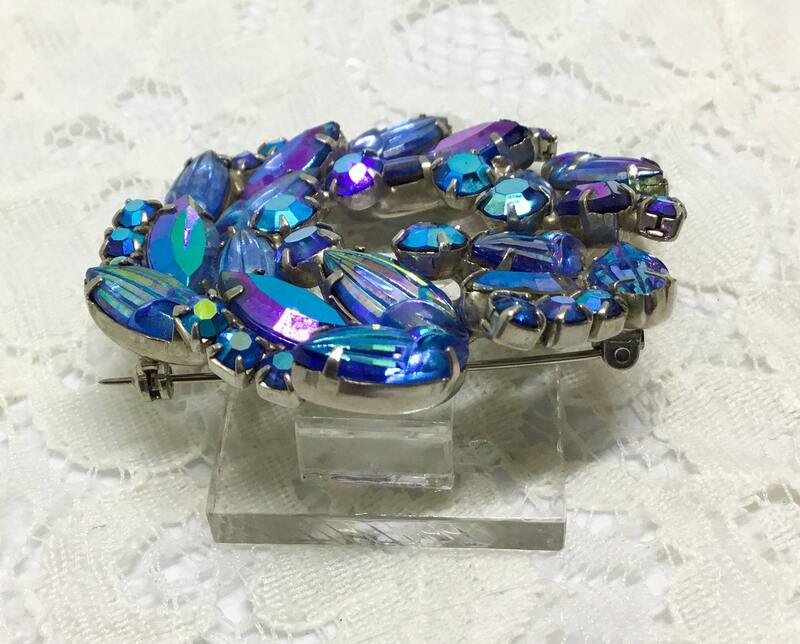 It measures 2 1/4” in diameter and the pinback is straight and works smoothly and securely. 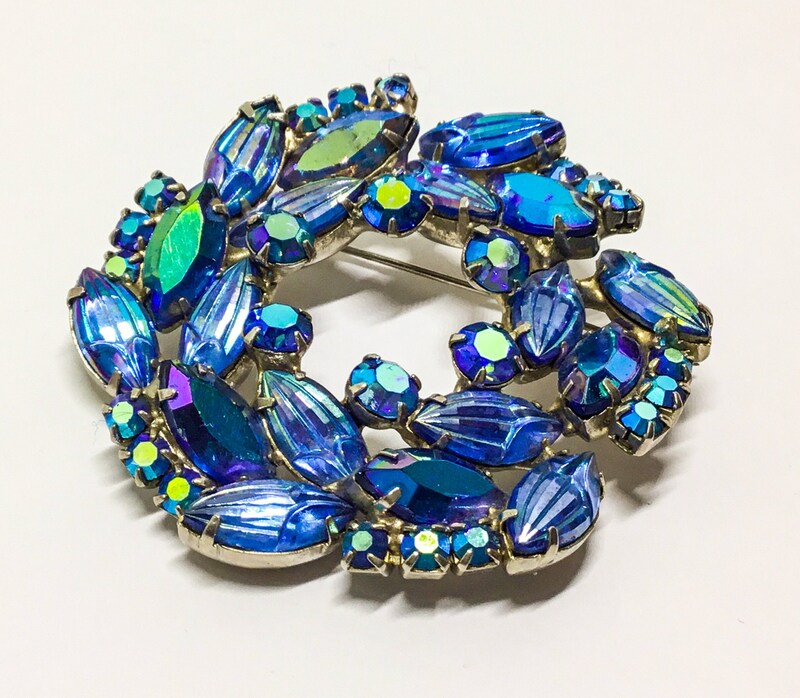 The wreath consists of navette carved buds, blue AB navettes, and smaller round chaton rhinestones. 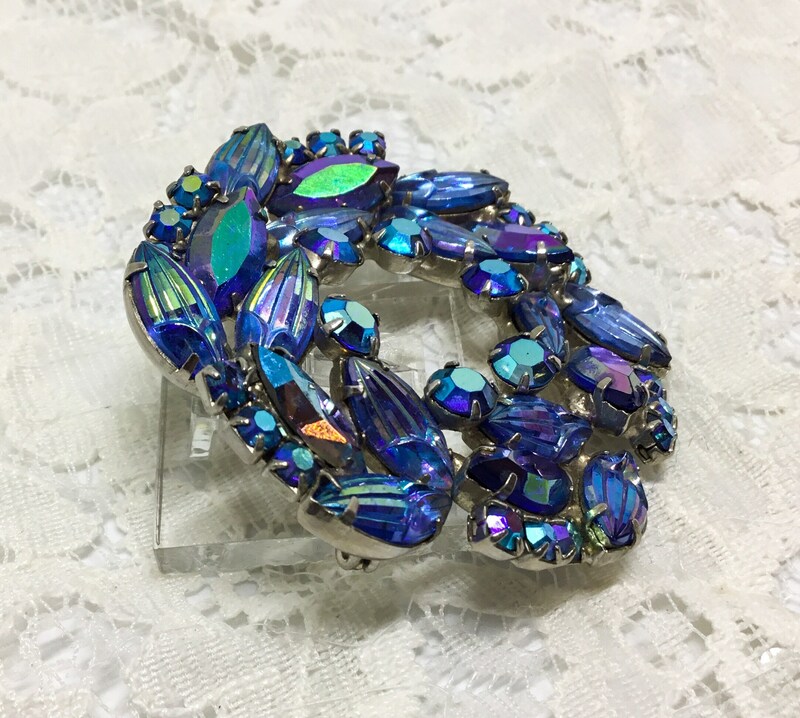 All of the AB rhinestones are closed backs, prong set and faceted. 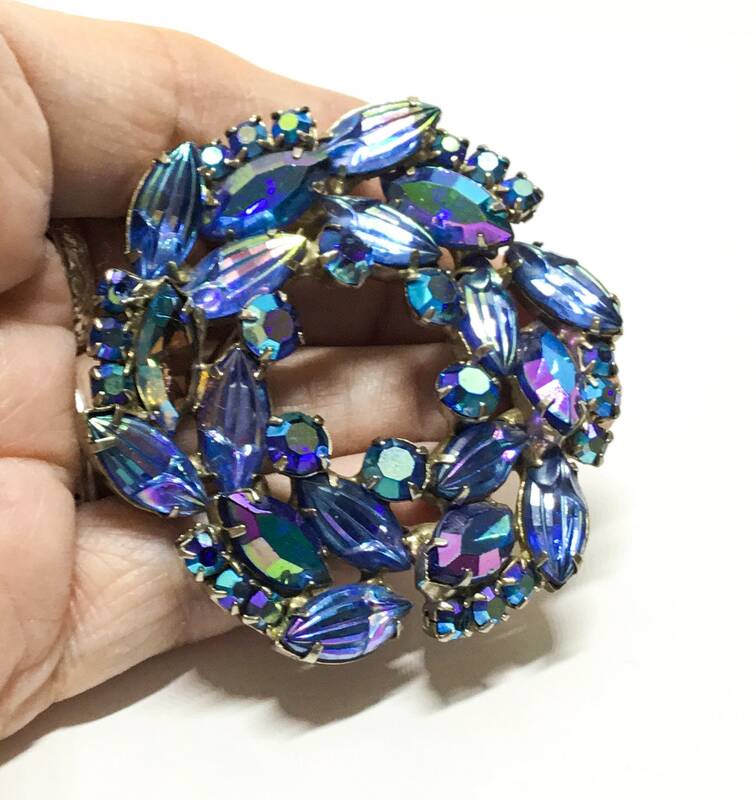 There is a small amount of surface wear to the AB rhinestones. 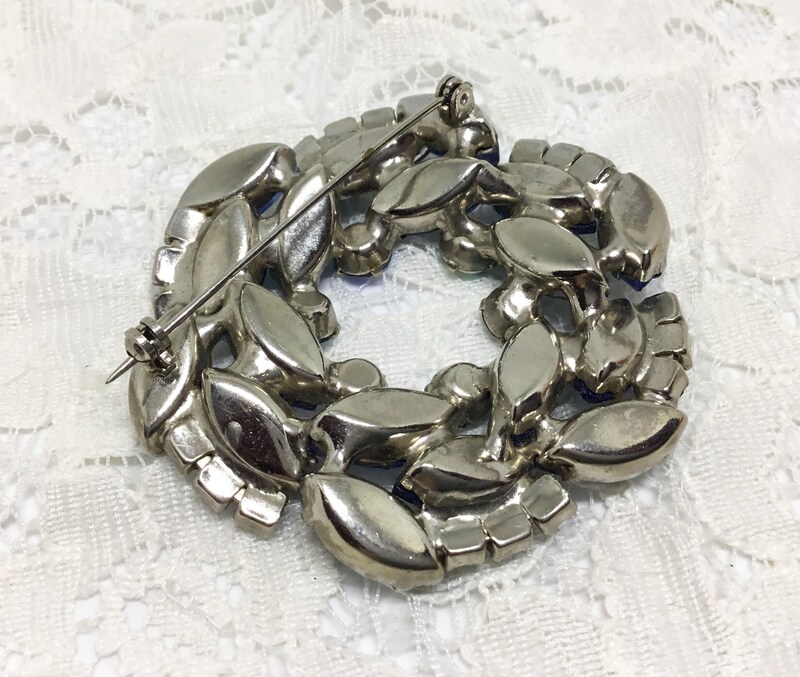 The silvertone setting is rhodium plated. 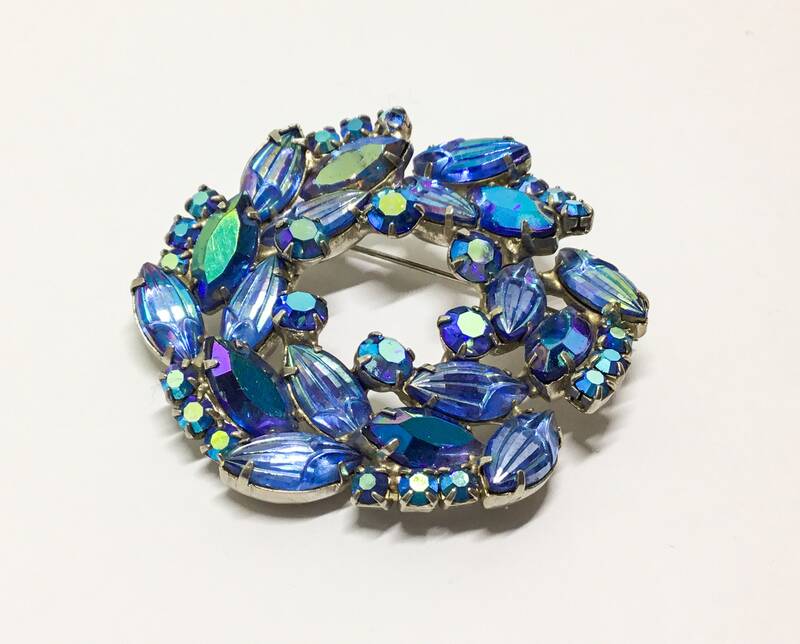 The carved rhinestones add a unique and fascinating look to this brooch. 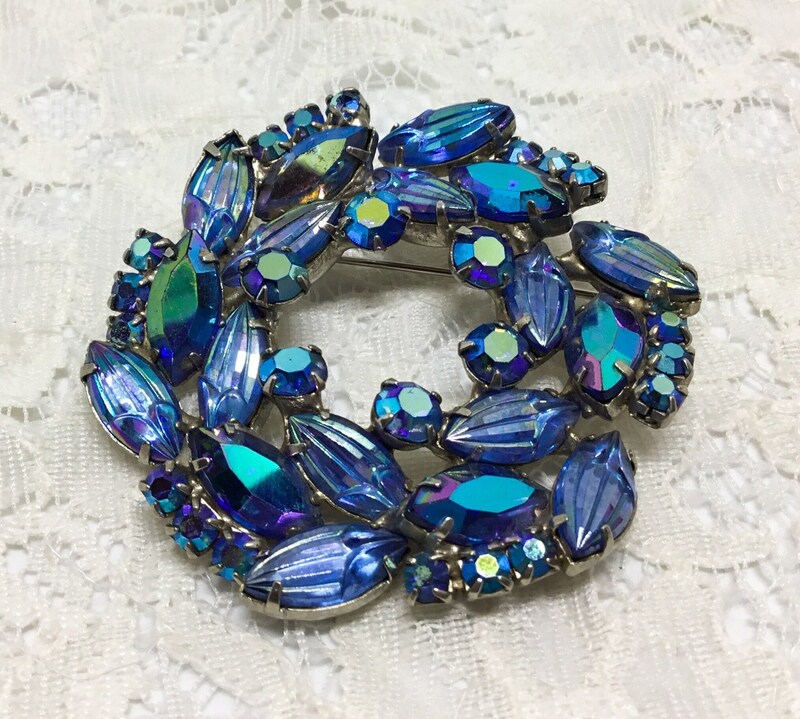 This sparkly blue rhinestone wreath will add a gorgeous sparkle to however you choose to wear it or to give it as a gift!